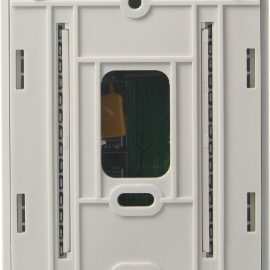 Tstat8 Bacnet Thermostat - Temco Controls Ltd. 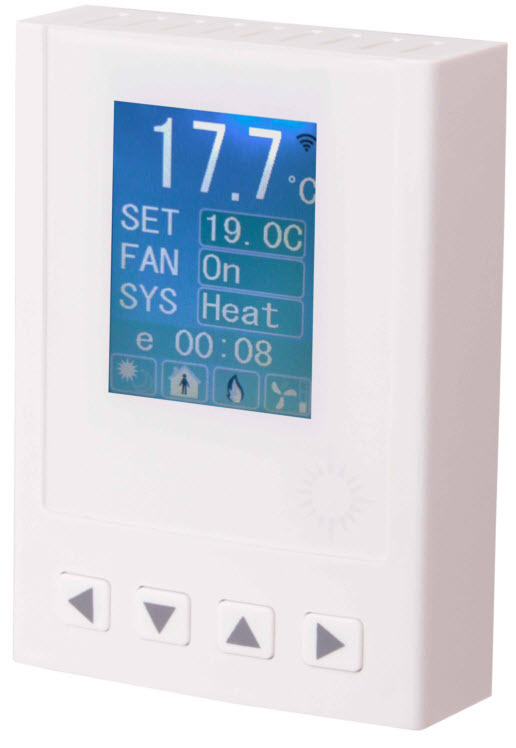 The thermostat can be configured for use with air handlers, fan coils, VAV, modulating valves and practically any HVAC application. 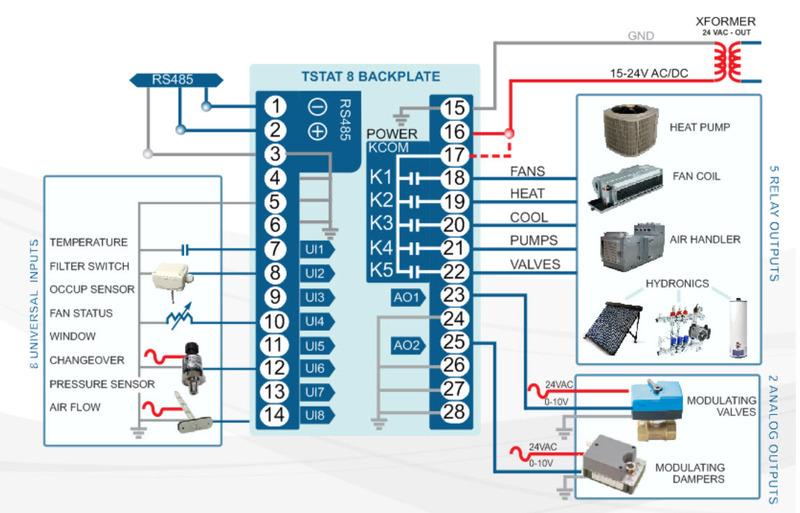 All models support bacnet and modbus protocol which allows easy integration with the big name control systems like Niagara, Siemens, Honeywell, Johnson Controls, Delta, Reliable and Kreuter to name a few. 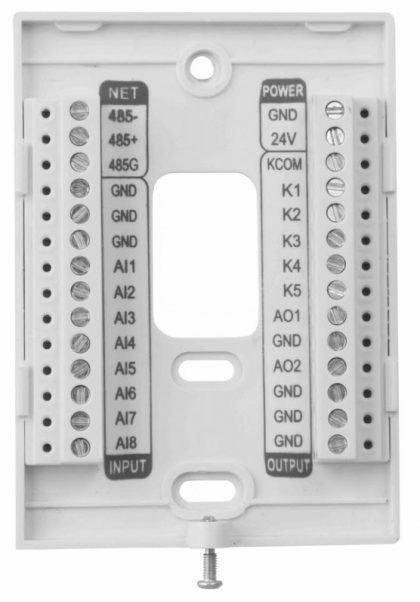 There are five relays and two analog outputs as well as 8 universal inputs. 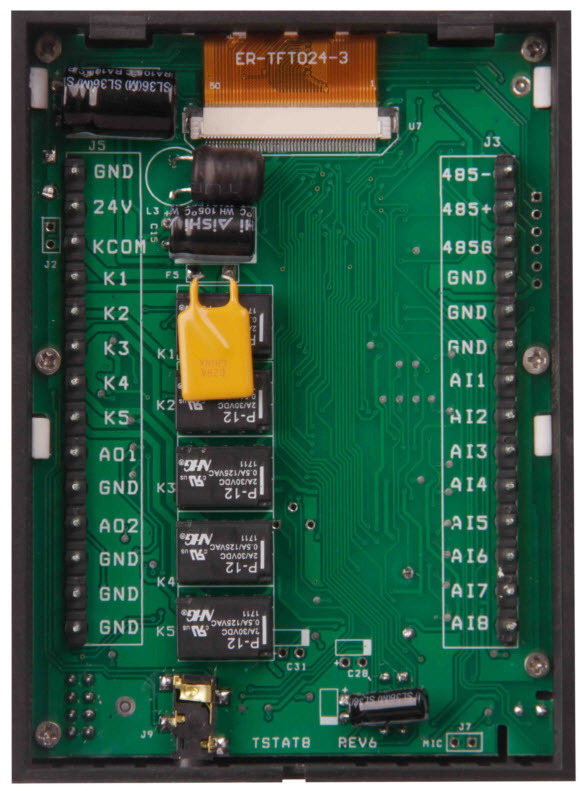 These i/o can be configured using the free software. 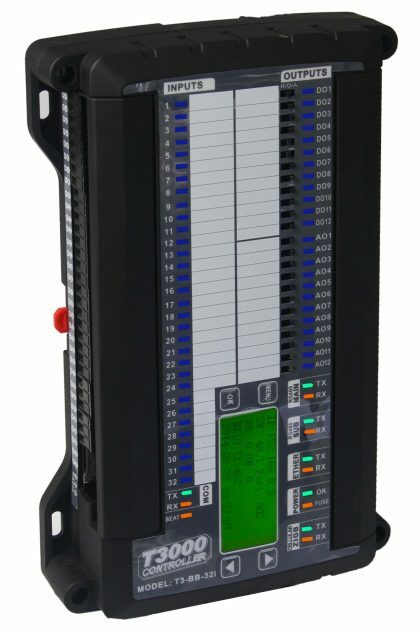 There are more than 300 settings with many options for each of the settings so its possible to configure these devices for most any application. 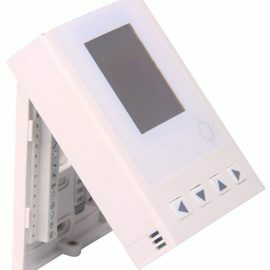 If we’re missing features we’ll add them usually for free. 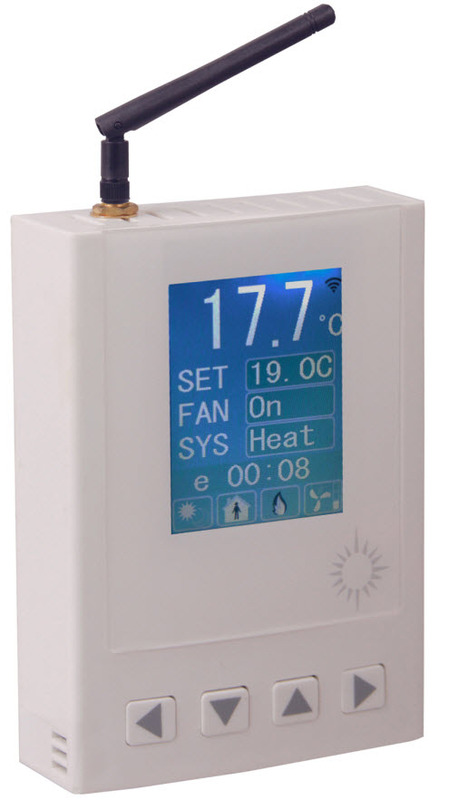 Once the unit is configured, save the config file for copying to other controllers and backing up project settings. 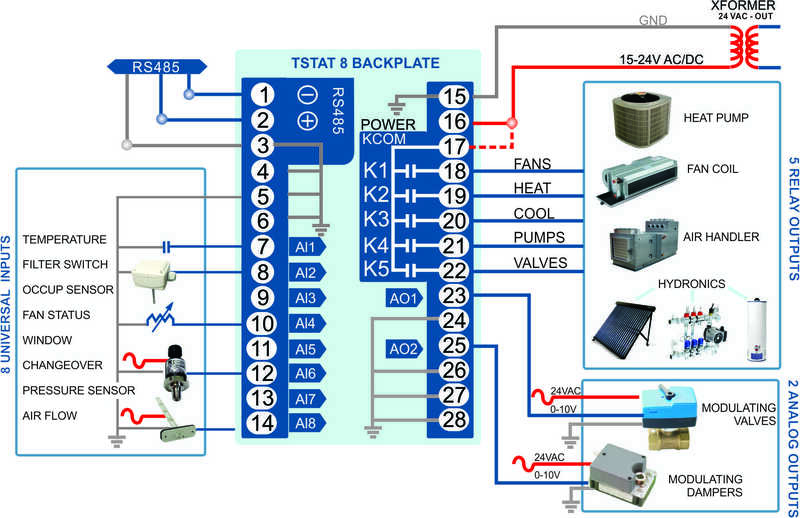 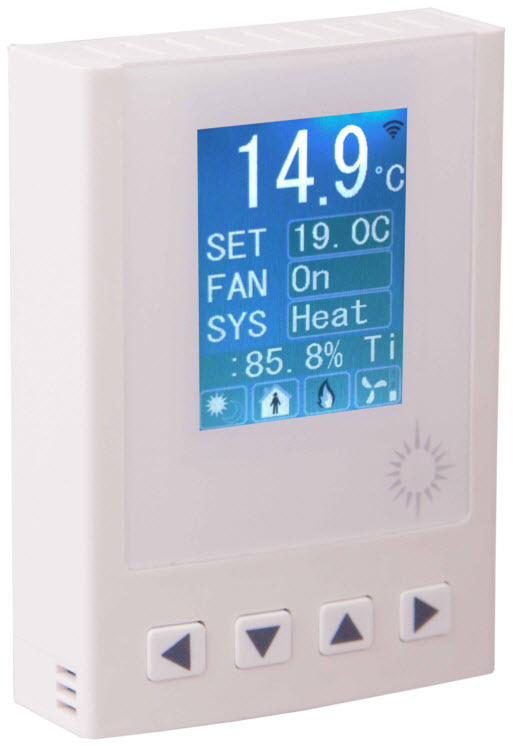 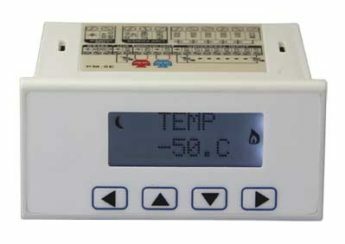 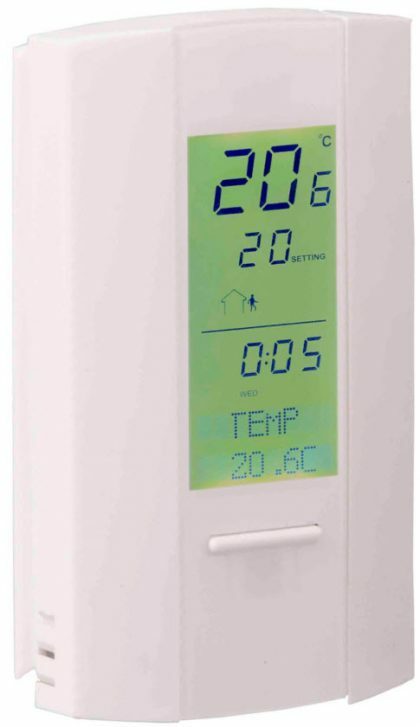 Work along with a master controller in a large system or for simpler systems,the thermostats can operate stand alone. 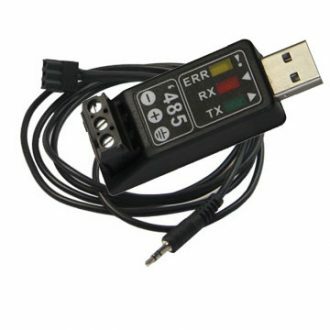 Note:Balck color of the Tstat8 is available,the minimum order of which is 50.